Indiana Career Explorer - 21centuryed Tech: Digital Teacher... Welcome To The Future! Indiana students along with over 150 million people worldwide rely on Kuder for evidence-based assessment, education planning, and career guidance tools and resources. With solutions for pre-K through retirement, Kuder customizable products and services reflect a commitment to encouraging lifelong learning, development, and achievement. Kuder offers comprehensive tools and resources for career planners at all life stages while supporting the communication and collaboration between key stakeholders in economic success – education, business, industry, community, and state agencies. Kuder users demonstrate an 11 percent increase in academic performance. Over 90 percent of Kuder users transition into post-secondary education. Kuder users complete college faster than non-Kuder users. After 1.5 years, 92 percent of Kuder users persist in college. View the video below to see an overview of the entire Kuder suite. Presently SACS subscribes to the Kuder Voyager portion that allows students in grades six through twelve the ability to begin and refine their thoughts as they enter and continue their career pathway. You can read more about Voyager below the video. Indiana Career Explorer (ICE) uses the Kuder Navigator as its portal to providing this career exploration experience to students. 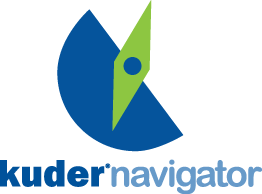 Kuder Navigator is an online education and career planning system that gives secondary students the tools they need to build a foundation for lifelong career success. Here, you will find short instructional tutorials that will teach you how to utilize your entire system and get the most out of your career planning process! Overview Tutorial - Navigator gives students real-world skills such as how to write résumés and cover letters, how to research employers, and how to prepare for job interviews. Students can even create an electronic portfolio they may choose to share online with prospective colleges or employers.. Watch a general overview of Navigator here. Registration - The SACS registration process is quick and easy so that users can start using their Navigator account right away. Learn About My Self - Receive instructions on how to complete the Kuder® Career Interests Assessment (KCIA), Kuder® Skills Confidence Assessment (KSCA), and Kuder® Work Values Assessment (KWVA), and how to interpret and share assessment results. Plan For Education - In order to get the career you want, you must plan for education accordingly. See how you can learn about options after high school, make an informed decision about a college major, find appropriate financial aid/scholarship opportunities, and more. Plan For Work - (High School Students Only) Prepare for summer employment, a part-time, or a full-time job by exploring the tools and resources offered within this section of Navigator. Compile documents to share with employers, brush up on your interviewing skills, and learn how to effectively showcase talents and abilities to hiring managers to land the job you want! Tip Of The Month - Each month, Kuder administrators get the inside scoop on how to best use Navigator and the ADMS. We've archived some of our monthly tips so administrators can utilize them at any time! Parents - Kuder empowers students and parents to work together effectively to build a foundation for success. We'll get you started and walk you through every step along the way. See how you can review your child's system progress, their personal career portfolio, assessment results, and much more.